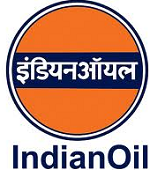 IndianOil’s Gujarat Refinery situated at Vadodara invites applications from bright, energetic and result oriented candidates of Indian Nationality for the following likely positions in the Pay Scale of Rs. 11,900/- – 32,000/-. B.Sc. with Chemistry as principal subject and Physics and Math as subsidiary subjects / Diploma in Chemical / Petrochemical Engineering with First Class (Pass Class for SC/ST). The prescribed qualification should be from a recognized Board / Institution / University and as a regular student of full time course. Minimum 2 years experience in operation (in rotating shift) of pump house, fired heater, compressor, distillation column, reactor in a petroleum refinery, petrochemical or fertilizer / gas processing industry. Experience should be post-qualification only, excluding training & apprenticeship period. Diploma in Industrial Electronics OR Diploma in Instrumentation Engineering OR Diploma in Electronics & Communication OR Post Graduate Diploma in Instrumentation & Control with First Class (Pass Class for SC/ST). The prescribed qualification should be from a recognized Institution / University and as a regular student of full time course. Minimum 3 years experience in operation, maintenance and troubleshooting of Distributed Control System (DCS) and Programmable Logic Controllers (PLC) preferably in Petroleum Refinery, Petrochemicals, Fertilizer, large size Power Plant.